EFTPS (Electronic Federal Tax Payment System) is a tax payment system provided FREE by the U.S. Department of Treasury. Pay FEDERAL taxes electronically ... on-line or by phone 24/7. Visit www.EFTPS.gov to enroll. Individuals can pay their quarterly 1040ES estimated taxes electronically using EFTPS, and they can make payments weekly, monthly, or quarterly as well as schedule payments for the entire year in advance. Life is short... don't spend your time preparing INCOME TAX returns! We can professionally prepare your federal and state tax returns for you. This service eliminates the need for an office appointment. It is for those who prefer to conveniently send us their Income Tax Return information via the following methods: U.S. Postal Service or other delivery service, Fax machine, Internet, or Email. · ACnj prepares U.S. Tax returns for anyone anywhere in the United States (or those who have recently moved out of the country). Contact us early in the tax filing season (preferably in December or January) to get your ACnj-MAILTAX Income Tax Preparation Package! • ItsDeductible, or The Salvation Army - for information on valuing your NON-CASH CHARITABLE DONATIONS. • BUSINESS TAX DEDUCTIONS Checklist - use this checklist to organize your tax deductible business expenses. • Deductible MEDICAL EXPENSES Checklist - deductible & nondeductible medical expenses. • Review Checklist for Individual Taxpayers - use this checklist to review items that may affect your individual tax situation. • Contact Us with your QUESTIONS, or to request our current TAX PLANNING Letter. • Click HERE for more information about the ACnj "1040-TAX EDGE" savings certificate for new clients! • A PROFESSIONAL SERVICES WARRANTY THAT GUARANTEES YOU THE LARGEST REFUND POSSIBLE WITH THE LOWEST TAX LIABILITY OR THE COST OF PREPARING YOUR TAX RETURNS IS FREE! ACnj helps you avoid this scene! Are you having problems with the INTERNAL REVENUE SERVICE? If you’re having problems with the Internal Revenue Service, let ACCOUNTANCY CONSULTANTS of New Jersey show you the solutions. What can ACnj do for you? ACCOUNTANCY CONSULTANTS of <?xml:namespace prefix = st1 ns = "urn:schemas-microsoft-com:office:smarttags" />New Jersey goes to work to solve your tax problems quickly and affordably. We offer a FREE initial consultation to review your case and explain your options. 2. Offer payment of a lesser amount to wipe out your entire tax liability and release Federal Tax Liens (Offer in Compromise). 3. Asking for an appeal of the taxes owed... Request that the IRS re-examine your case in order to reduce the amount you owe. 4. Requesting a reduction of penalties... Present valid reasons for your tax problems and have the IRS reduce penalties to zero. 5. 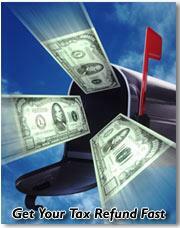 Offering a payment plan... Offer the IRS a payment plan that is workable for you. 6. Filing un-filed tax returns... You may still file original tax returns for past years, usually reducing the taxes and penalties owed. 7. And, if necessary, we�ll represent you in an IRS tax audit, so you don�t have to appear before the IRS. Don't let the IRS take the shirt off your back! ...How can you pay off your taxes if the IRS keeps adding penalties and interest which quickly become greater than the original amount of tax due? ...Taxpayers with IRS Problems can never build up retirement funds or assets! ...Once you owe the IRS money, they become very aggressive in their collection attempts� e.g., a Bank Levy or a Wage Levy. ...There can be no rest or relaxation until your IRS problem is completely solved. 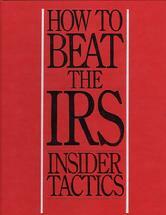 ...Get the IRS mad enough at you (they get mad very easily) and they will seize your assets, including autos, boats, motorcycles, real estate, retirement funds, insurance policies, antiques, collectibles, jewelry, computers, etc. WANTED: New Jersey Tax Cheats! Get your REFUND check fast ... ACnj will file your returns Electronically!